Bring sweetness to your space with this Forever in Blue Jeans Sweet Embrace Figurine featuring a resin sculpture of a couple in jeans and t-shirts in an embrace on a round base. 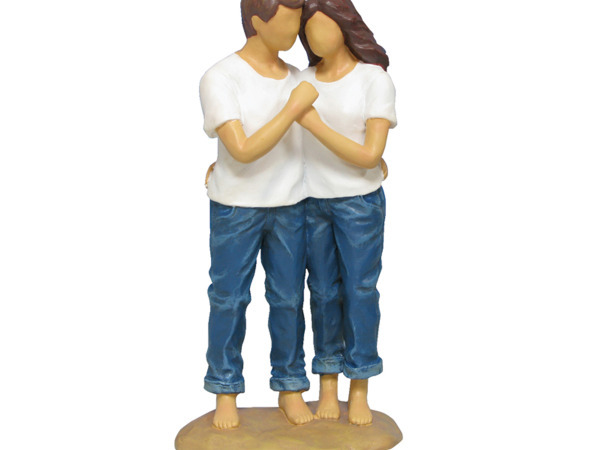 Measures approximately 7.25" tall x 3.5" wide. Comes packaged in an individual box. 8 pcs. 16 pcs. — — 24 pcs.